Petrolero de Plaza Huincul (La Liga Argentina) agreed terms with 27-year old American center Travis Elliott (203-104kg-91, college: Beth.-Cookman). 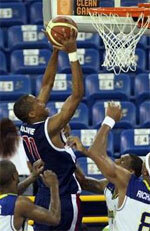 He played last summer at Atletico Nacional in Panamanian LPB league. Elliott managed to play in three leagues in two countries last year. In 15 LPB games he had 7.3ppg, 8.3rpg and 1.1apg. 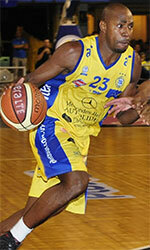 He also played for Mekong United (TBL) in league where in four games he recorded just 2.3ppg and 4.5rpg. The list of the past achievements is quite long as among others Elliott was voted Latinbasket.com All-El Salvador Liga Mayor Center of the Year in 2016. He has played on three different continents (Asia, Latin America and of course North America). Elliott has played previously professionally in Bahrain, Canada (The Storm and London Lightning) and El Salvador (Halcones and Brujos Izalco). He attended Bethune-Cookman University until 2015 and it will be his fourth season as a professional player.